With a rash of new courses opening and the beginnings of a truly professional tournament scene arriving in Vietnam, the industry looks to finally ready to register on the international circuit. Golf expert Lars Holden looks at how Vietnam’s golfers can join the party. 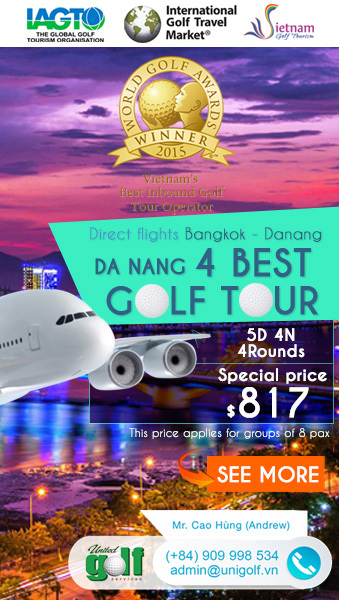 For the uninitiated, what does the Vietnam golf scene have to offer? 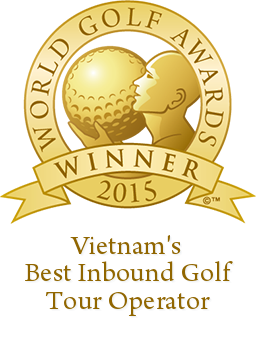 The golf industry in Vietnam looks to be heading into a very prosperous period. Player numbers are increasing, more courses, driving ranges and golf academies are been built, golf tourism is growing and Vietnam is becoming a ‘must visit’ destination for all serious golfers in the Southeast Asia region. Added to this is Vietnam’s diverse golfing landscape from north to south that offers an array of unique golfing experiences that will attract golfers for many years to come. How will the arrival of large-scale international golf events affect the industry? I am very excited about the upcoming Ho Tram Open. It is a huge opportunity for Vietnam to showcase to the rest of the world how good Vietnam is – not only as a golf destination – but the country as a whole. The Vietnam Golf Association and the Ministry of Sport and Tourism should make all efforts to support this event as the carry over effect can be a huge windfall for the golfing community of Vietnam. As a venue Ho Tram is not only a world-class facility but also a destination that all of Vietnam can be proud off. How can Vietnam’s young professional golfers get to a stage where they’re ready to compete in Vietnam’s first Asian Tour event? Vietnam still falls behind other regional countries when it comes to professional golfers and junior golf development. However Vietnam has two stand-out players who I honestly believe can perform to the levels required to be competitive in the 2015 Ho Tram Open. I have no doubt they are working hard on the games for the upcoming Ho Tram Open. Tran Gia Le Nhat is Vietnam’s leading golfer and has achieved some success in the past year including winning the Thailand Sing Ha Open. Nhat is one of the best ball strikers in the region and with a little more dedication and belief, he has the ability to match it with the professionals participating in the Ho Tram Open. Our other stand-out player is Truong Chi Quan who is currently studying in the US while also developing his golf skills at Core Golf Academy. Quan is also a strong ball striker, is very mature for his age and is very dedicated in his pursuit of becoming a professional golfer. I am confident that Quan will acquit himself very well at the Ho Tram Open. Another major event coming up is the Accor Amateur in Danang this September. But the participants are mostly from overseas, why the lack of homegrown competitors? There are several reasons that can be attributed to the low numbers of Vietnamese participating in the upcoming Vietnam Masters in Danang. Firstly, the focus of the organisers was to attract visitors to Vietnam, and the event was not advertised well enough in Vietnam and therefore a lot of our golfers are unaware it is actually on. Secondly, it is being played over four days and many golfers in Vietnam would find it hard to commit to taking a week off to participate in such an event. The golfers participating in this event are mostly retirees who enjoy travelling to new destinations to participate in golf events. However, I am confident that this event can grow over the coming years and be a very popular event attracting not only foreigners but Vietnamese golfers. 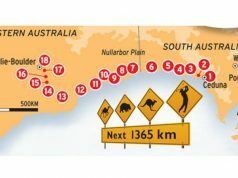 The event follows a very similar model to the one played each year in Hua Hin, Thailand and the organisers are looking to see it grow in the same way. Is the rash of new golf courses opening in 2015 good news to the golf industry in Vietnam? 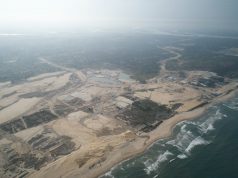 The new courses that are currently under construction can only help the development of the game in Vietnam. The courses you have mentioned are all designed by leading international design firms that have excellent track records in producing high quality golf courses. The better the courses, the more players will want to come and try them. There is also a very strong pipeline of new projects to complete over the next two years, which will add even more diversity and quality. 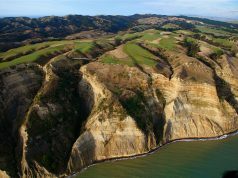 What do you think about the recent announcement that the government plans to have more than 90 golf courses in the country by 2020? The planned number of courses for Vietnam is still very low when compared with other regional countries. Personally, I feel that the number mentioned is a good number that will allow the game to flourish, if the governing bodies manage its development well. This can be achieved by creating strong junior programs that allow children to get involved in the game, more public courses that are affordable to the middle class and allow greater access to driving ranges and teaching facilities. To develop the industry, golf needs to be more affordable, but how feasible are public golf courses in Vietnam? The only way for golf to be feasible for public courses is for the government to get behind the sport and to create courses that can be played by the lower income earners. Currently, the game is out of reach for the majority of Vietnamese, so we need to change this, and the government and Vietnam Golf Association are the key to making this possible. Of course, it will also require private investment, but hopefully on a different level from the current traditional model where memberships have been used to finance a lot of the construction cost. In the absence of public courses it would be great to see the existing golf clubs try to develop some programs to attract new golfers, perhaps offering discounted rates to visitors during less busy times.